Three canvas panels measuring 15 feet in length of Gulfport harbor in 1906 by the famous photographer William Henry Jackson. Five 8x10 glass plates (negatives) were used to make the 180 degree panorama viewed from north to south. This canvas print of the Great Southern Hotel is almost 8 feet long. The image was made from three 8x10 glass plates that were digitally merged to make this large panorama by William Henry Jackson in 1906. This canvas of Gulf & Ship Island R.R. Engine #29 is 4 feet long . 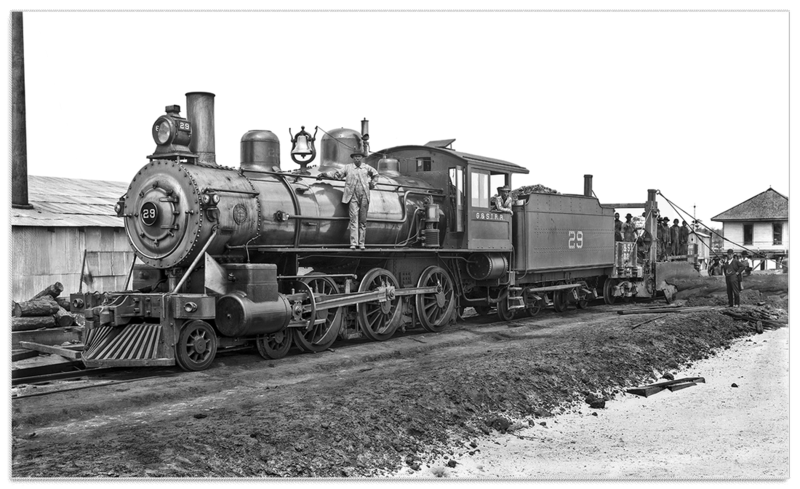 Willis Vail, lead engineer for the railroad, photographed Engine #29 shortly after if arrived for service in 1902. 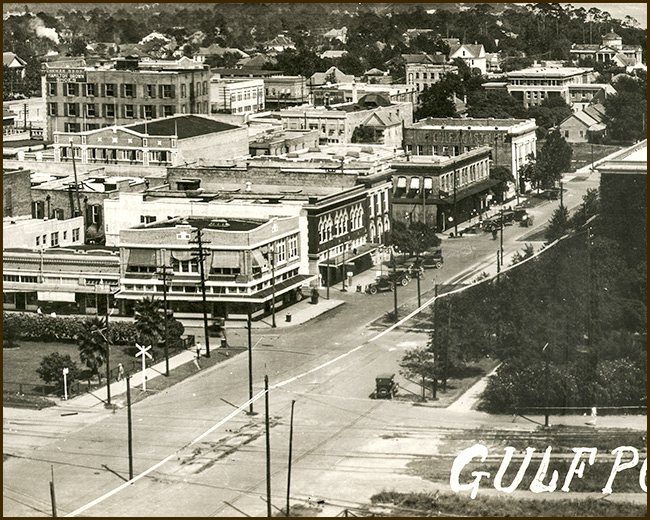 This canvas of the city Gulfport in 1923 is 8 feet long. It could only have been taken atop the water tower. Southern Foto Film Service, 727 Common Str. New Orleans, La. By 1923 the timber industry, harbor, and Gulfport, as a boom town, were in decline. The cone topped bat house, center, over looks the empty fresh water log ponds and an idle sawmill. The building on the left was a boarding house for black dock workers run by 3 nuns.